That’s a conclusion in need of an argument. I will offer one and then point to some of the broader implications of the validity of that argument. I’ll start first by identifying the relevant facts about which drugs are driving the overdose deaths and establishing the relationship between prescription pain medications and heroin. 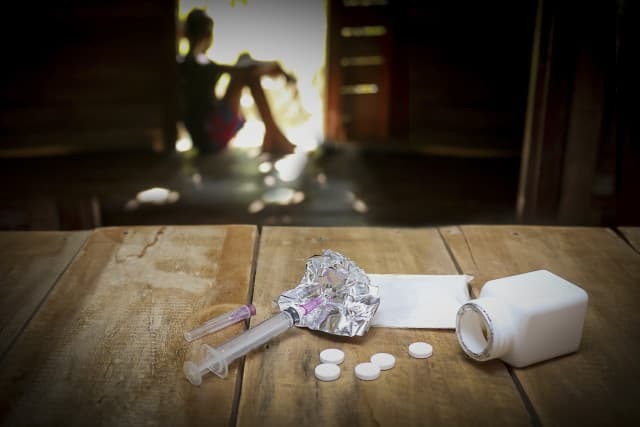 According to the American Society of Addiction Medicine, opioid addiction is propelling the increase in drug overdose deaths. In 2014, there were nearly 19,000 overdose deaths from prescription pain medications in addition to nearly 10,600 deaths from heroin overdoses. There’s a well-documented connection between the misuse of prescription drugs and heroin. In 2012, physicians wrote 259 million prescriptions for opioids. Now, consider that four in five new users of heroin started out misusing prescription pain medications. Because prescription pain medications can be both expensive and hard to obtain, 95% of people in treatment for opioid addiction switched to heroin. These facts indicate that to a very significant degree, opioid and heroin addictions and overdoses have their origins in the healthcare system. This leads to at least two questions: Do whites and blacks have the same access to healthcare? Once in a healthcare system, are whites and blacks treated differently? The access question first: Minorities have worse access to healthcare than whites. Access to healthcare is measured by a variety of factors, including entry to health system, having a regular health provider, and presence of facilities that provide care, for example. Blacks had worse access to whites for 32% of access measures. Hispanics had worse access on 63% of access measures while it was 62% for American Indians and Alaska natives. While the Affordable Care Act is intended to extend health insurance more broadly, many people still lack it. Having insurance does not guarantee that one will use it when there are high co-pays or deductibles, rigid or insecure employment, no transportation, and few available providers in an area. The net result of all of these factors is that fewer blacks are entering or remaining in the healthcare system. The lack of access is keeping blacks from being prescribed pain medications. Those blacks who do manage to access the healthcare system and see a health provider encounter more dimensions of racism that affect the type and quality of care they receive. A lack of empathy to the pain of black people is an important factor in the disparity of pain management. Quite simply, white people believe black people do not feel as much pain as white people. Several studies have demonstrated this racial empathy gap, including a recent one in which participants were shown video clips of a needle or eraser touching the skin of whites and blacks. -Peg O’Connor Several studies have demonstrated this racial empathy gap, including a recent one in which participants were shown video clips of a needle or eraser touching the skin of whites and blacks. When viewers saw white people receiving what appears to be a painful stimulus, they responded physiologically – more dramatically than when a black person experienced the same stimulus. It wasn’t just white people who responded less dramatically to the perceived pain of blacks; blacks themselves responded less dramatically to other black people. Healthcare personnel are not exempt from this racial empathy gap as another study shows. Medical personnel assume that black people feel less pain than whites, which may be the underpinning for the racial empathy gap. Even when medical personnel recognize the pain of black people and are willing to write a prescription, they often don’t prescribe the same types or dosages they do for a white person with the same condition. Pain is notoriously difficult to assess even when it obviously attaches to a particular injury (a compound fracture) or a disease (cancer). When it is not localized and more nebulous, physicians must put more stock in self-reports of patients who are asked to rate it on a scale. The ratings and reports are subjective. Operating with the assumption that black people do not feel as much pain and from a gap in racial empathy, whites may see black people as less reliable and less honest reporters. It becomes too easy to see a black person, not a patient, in genuine pain but improperly labeled as a drug seeker or dealer, which is a very familiar stereotype. Based on these assumptions and stereotypes, a physician might decide not to prescribe pain medications. Thus, we reach the conclusion that racial stereotypes are protecting black people from the addiction epidemic. It is accurate to acknowledge that black people have reduced access to the very medications that are driving overdose deaths. Not having the drugs precludes using, misusing, and becoming addicted to them. If one is not using drugs, one cannot overdose from them. That’s obvious and even vacuous until the reasons for the lack of access to these medications are explored. Those reasons are anything but good. The notion of “protection” in this context is troublesome. Lack of access to healthcare, unequal treatment within healthcare, racist beliefs about black people’s pain, and a racial empathy gap generally are not understood as providing protection to people. Is it a good thing the death rate from overdose for black people did not increase as much as it did for whites? Of course it is. But the very dynamics and features that keep black people from pain medications are the very ones that keep them from the quality of care they and everyone else deserve. The harm and suffering caused by these features and dynamics are incalculable. Peg O’Connor, Ph.D. is Professor of Philosophy and Gender, Women, and Sexuality Studies at Gustavus Adolphus College in St. Peter, Minnesota. Her new book, Life on the Rocks: Finding Meaning in Addiction and Recovery (Central Recovery Press, 2016) is the only book that puts western philosophy into conversation with addiction and treatment concerns. Written for the general public, it assumes no familiarity with philosophy. Additionally, Peg O’Connor's monographs - Oppression and Responsibility (Penn State Press, 2002) and Morality and Our Complicated Form of Life (Penn State, 2008) - are two of approximately ten published books using Wittgenstein to explore moral matters. Peg O’Connor also has two edited books. Feminist Interpretations of Ludwig Wittgenstein is part of the prestigious Re-Reading the Canon series with Penn State Press (2002). The other, Oppression, Privilege, and Resistance (McGraw Hill, 2004), explores the connections between racism, sexism, and heterosexism. She has published four essays on philosophy and addiction in The New York Times along with one in The Huffington Post. Peg O’Connor has taught a seminar “Philosophy and Addiction” at Gustavus. She also wrote an educational curriculum about character, moral development, and actions and consequences for students who had the most serious alcohol or drug infractions on campus. In 2012, Peg O’Connor was an A.A. Heckman Fellow at the Hazelden Foundation in Center City, MN working on a manuscript that explores the influence of philosopher/psychologist William James on Alcoholics Anonymous. She has presented her work at conferences for treatment professionals and professional philosophers. She has also appeared on The Agenda with Steve Paikin, the flagship current affairs program for Canadian public television, on topics related to addiction.